There's a long trail ahead, but you'll be ready for every mile of it when you're wearing the Brooks Sherpa 5" short. 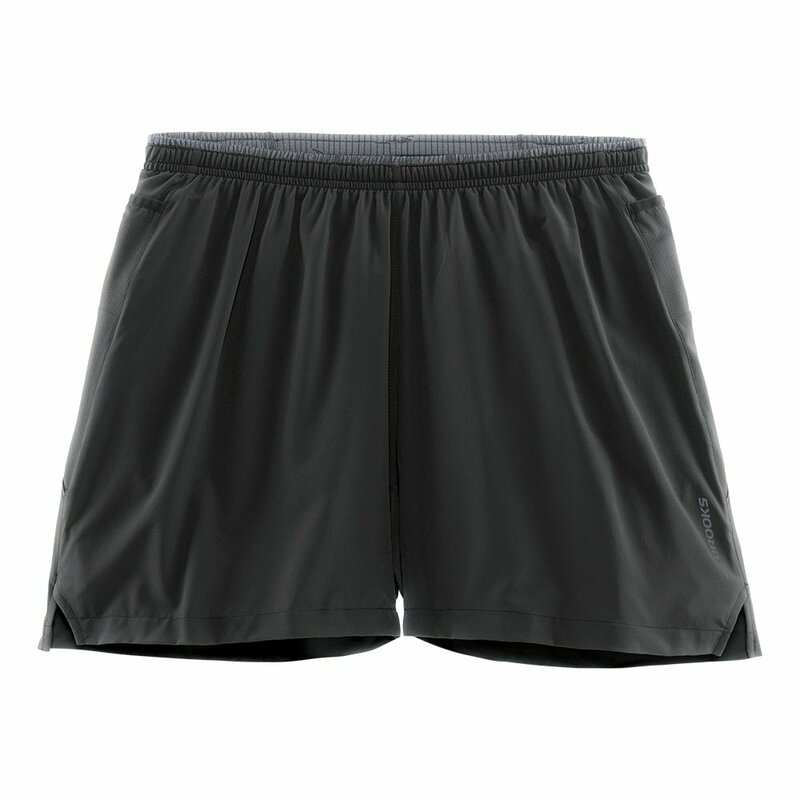 The DriLayer® material is designed to move moisture away from your skin to keep you cool when you pick up the pace, and the integrated liner brief maximizes that comfort by giving you mesh breathability along with the support you need. Best of all on the outside there's a center-back zip that is sweat proof so you won't feel weird handing the smoothie guy your card to pay for your post-run treat.